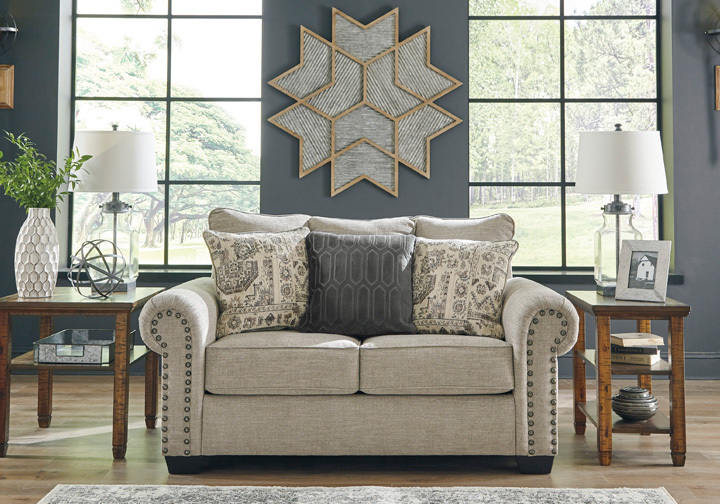 The Zarina loveseat lets you make a high-style statement at a comfortably affordable price. 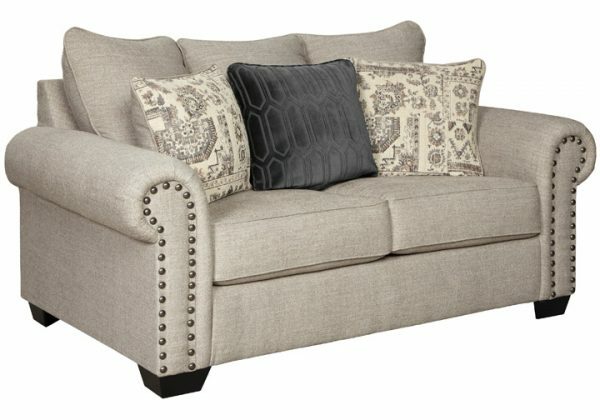 Richly traditional roll arms are given a modern punch care of oversized nailhead trim in a black nickel-tone finish. Linen-weave upholstery in fresh and clean sandstone beige is complemented with designer pillows that add texture and sophistication.